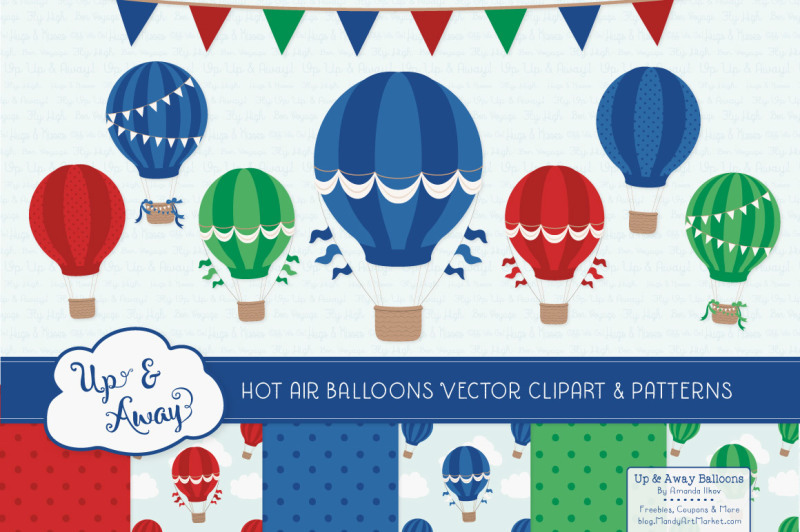 This fun collection of hot air balloons, banners and coordinating patterns is perfect for accenting your creative projects! 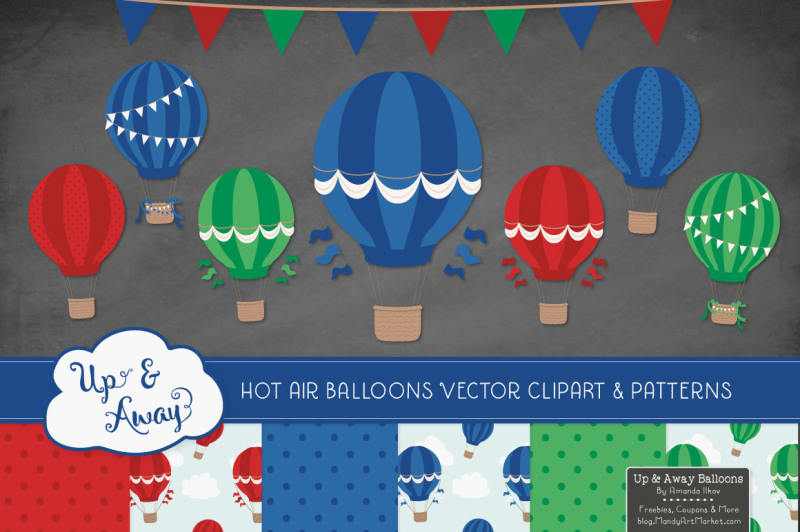 Includes 9 hot air balloons, 4 solids banners and 4 dotted banners and 7 seamless patterns. Great for party themes or nursery decor, this Crayon Box Boy colored set is as versatile as it is pretty. 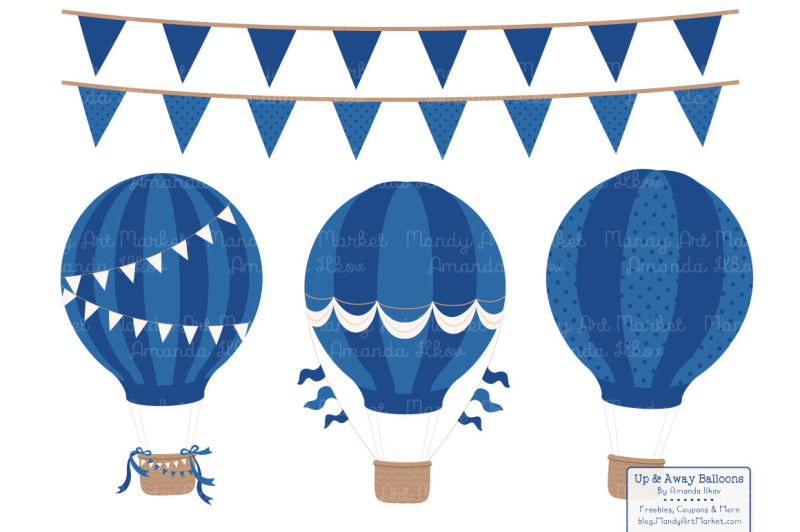 All balloon and banner clipart images have a transparent backgrounds, making them easy to just pop in where you need them! Coordinating papers are solid - they are not transparent. 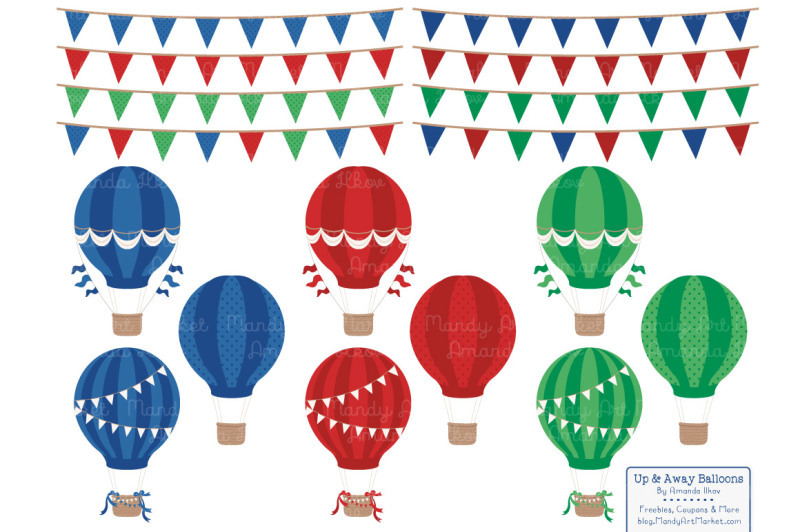 Each hot air balloon clipart image is about 1800px, or 6 inches when printed at 300 dpi (print quality). Bunting banners are about 3600px wide, or 12 inches when printed at 300 dpi. 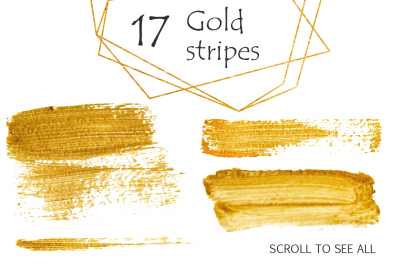 Each coordinating digital paper is about 3600px, or 12 inches when printed at 300 dpi. Please note that the label and text on the cover image is for display only. Text is not included in the download files. 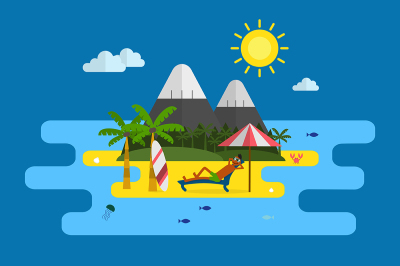 Like this art? 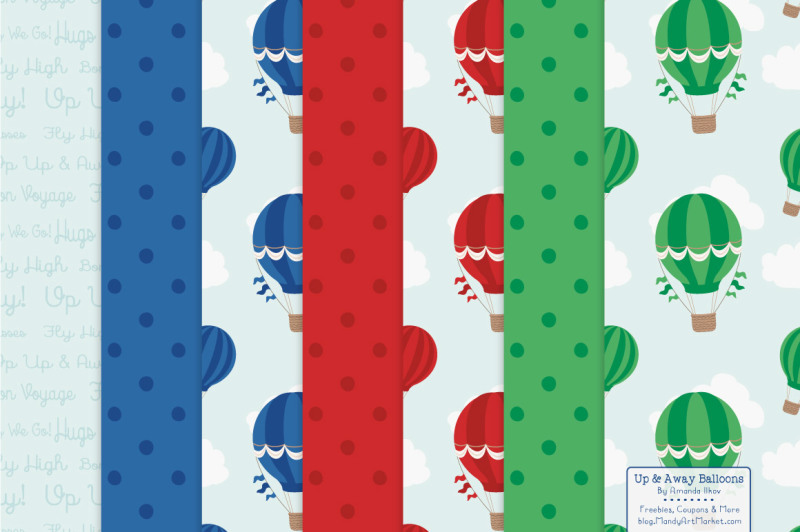 More colors and styles are available in my Up and Away series! Sign up for my newsletter, and get access to my freebies worth $4.99 or more each within a few minutes of signing up! You'll continue to get freebies, offers and news about my digital art. No spam, I promise!